Casa Ezelina is situated in Ginestreto di Pesaro and offers 4 apartments and 3 rooms for bed & breakfast use. Gelsomino, Lavanda, Ginestra: here are the names of the 3 rooms of our Bed & Breakfast. Every room is furnished with antique period furniture and the services that we offer guarantee comfort and wellbeing. We make available to our guests our welcoming kitchen, the veranda and the yard to enjoy moments of relaxation and to enjoy the buffet breakfast, included in the price. Three rooms: queen, full and twin. The b&b can host up to 5 people. The rooms are equipped with television and ceiling fan. Buffet breakfast included. Outdoor pool in the yard. Free Wi-Fi. 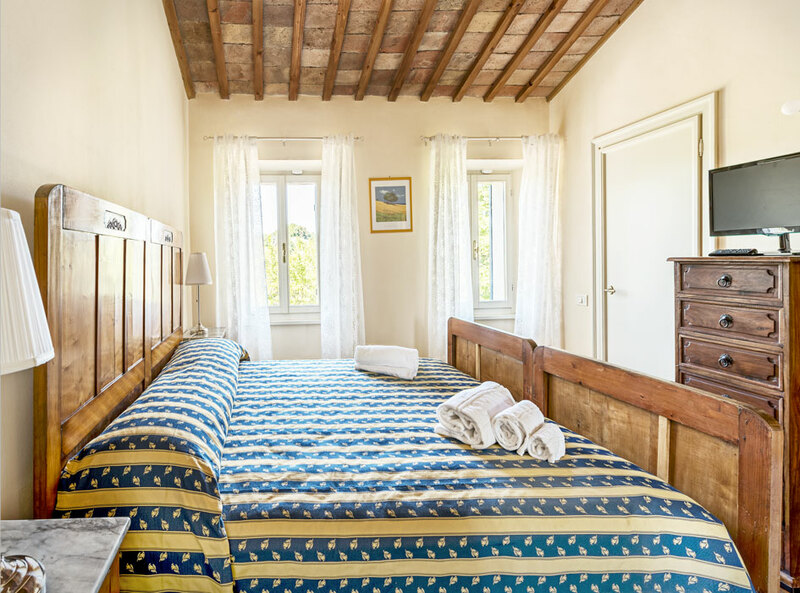 The four apartments are located inside the restructured ancient farmhouse, surrounded by a large yard with pool. The welcoming atmosphere, the fresh countryside air, and the view on the sea make Casa Ezelina an ideal location for a vacation that promotes wellbeing. The apartments inside Casa Ezelina are welcoming, clean and furnished with care. Every apartment has its peculiarities that meet the different needs of our guests. In all four apartments you will find available free Wi-Fi, TV, and air conditioning (except for the Roseto apartment). L’Olivo – 50 sq.m. apartment that sleeps 4. il Roseto – 50 sq.m. apartment that sleeps 4, with private yard. il Gelso – 40 sq.m. apartment that sleeps 3 with wide terrace with view of the sea. il Roseto – 60 sq.m. apartment that sleeps 4+1, with private yard. Upon arrival you will be welcomed by Gabriella, the owner of the farmhouse, that will always be there for you to make your vacation easy, serene and safe, and will be able to suggest you places to visit and restaurants where to make reservations. 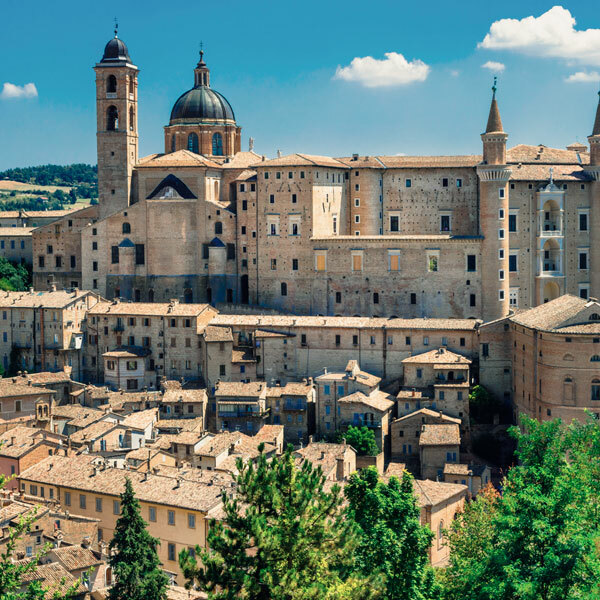 Urbino, jewel city of the Renaissance, owes its beauty to the Duke Federico da Montefeltro. The Palazzo Ducale and the Raffaello house are destinations not to be missed by tourists from all over the world. 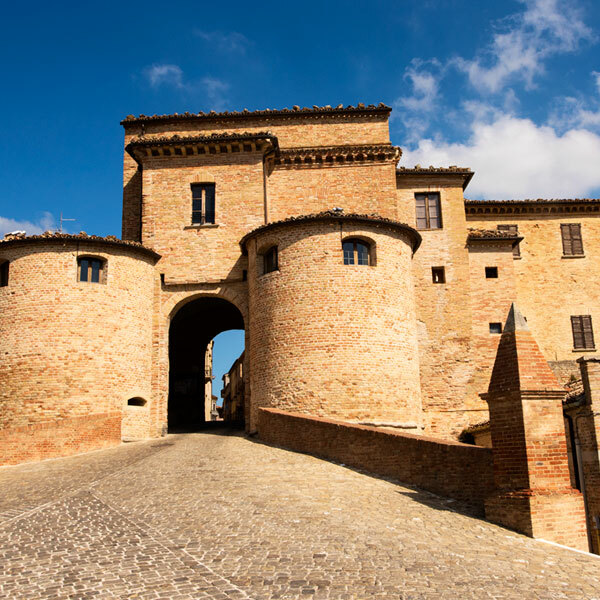 Mombaroccio is a medieval village that preserved its charm over time, thanks to the excellent preservation of the old exterior walls. A small town full of places to be visited like the Museum of Rural Life and the Sanctuary of Beato Sante. 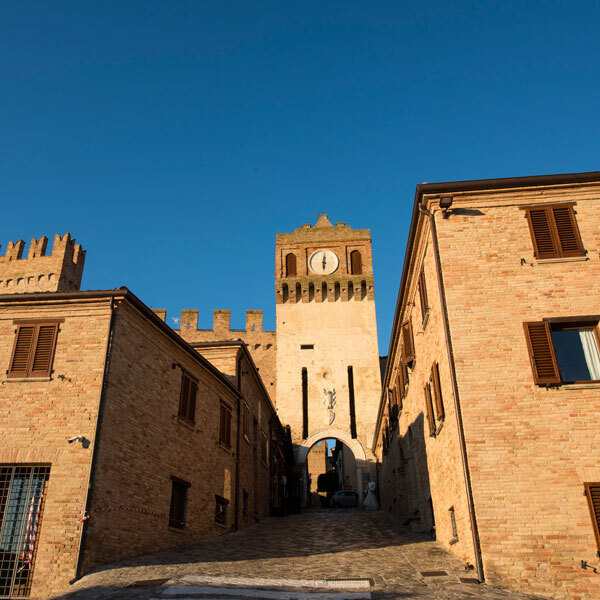 Gradara is a medieval village located on the hills of Marche region, a few kilometers from the Riviera Romagnola. Here the famous love story between Paolo and Francesca was set, narrated by Dante in his Divine Comedy. 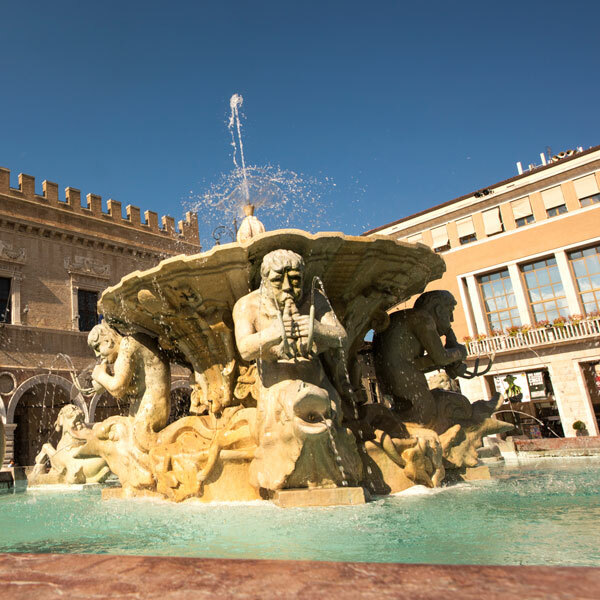 Pesaro is a tourist destination and seaside resort that has a rich historical and artistic heritage. The city, in summer, offers festivals and prestigious events such as the Rossini Opera Festival and the Mostra Internazionale del Nuovo Cinema.